This is another great one for those starting out in the area of smithing. With 24 main projects plus some that have more than one or enough variations to get one busy for a while. Honing the simple skills sets that will add to the overall skills needed to take on more detailed and complicated projects in the future. Each Project set is a chapter, with clear and concise line drawings of the parts and project. Not drafting drawings, but drawings that will leave no doubt about what one needs to do. 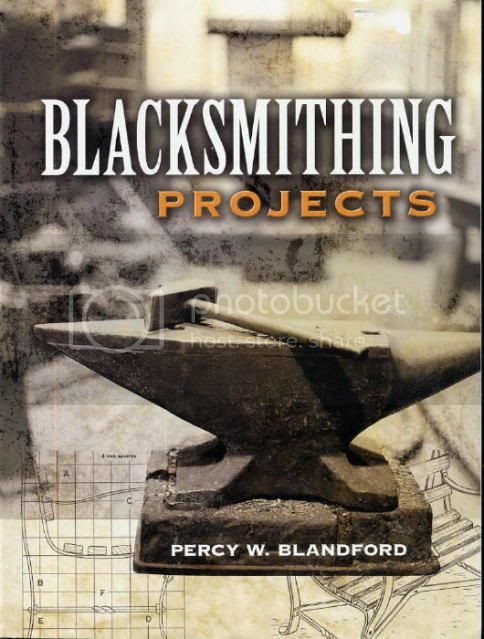 Starting with a brief introduction on smithing and the projects in this book. as free standing or starting point for other things. Now most people that have been at smithing for any length of time may find this book simple for them or they can find it a kick start for getting over that fence for their next project.